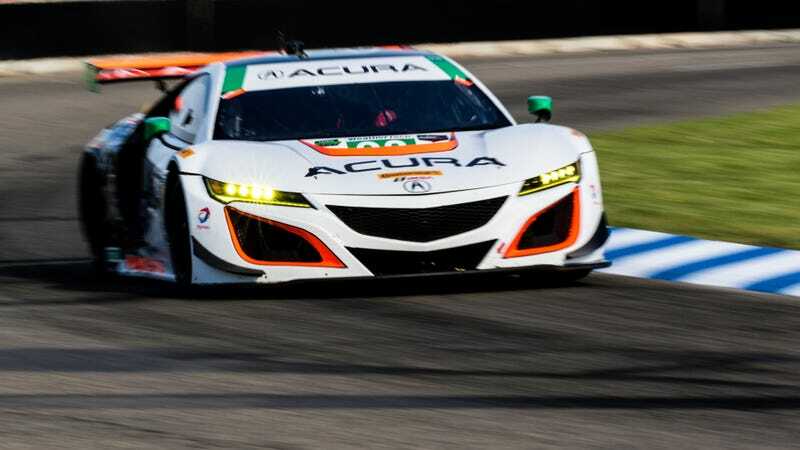 The Michael Shank Racing duo of Andy Lally and Katherine Legge got the Acura NSX GT3 its first class win in the IMSA WeatherTech SportsCar Championship race at Belle Isle Park over the weekend, with Legge also celebrating her first-career victory in the WeatherTech series. The NSX made its debut at the Rolex 24 Hours in January, and its first win came with the No. 93 in the GT Daytona class at the Chevrolet Sports Car Classic. The car finished 11th overall.